For many years I’ve talked about women “making the first move”. It’s a key piece that will allow you to avoid the #1 biggest mistake women make when talking to guys, it’ll show you how to get him doing the chasing, as well as create a “push-pull” effect to skyrocket his attraction. You’ll have fun with this one! 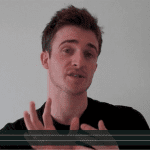 « See Matthew Hussey LIVE! What’s up,I read your blog named “Get Him To Chase You | Get The Guy” on a regular basis.Your writing style is witty, keep it up! And you can look our website about free ip proxy. It finally clicked! I live in a college/ family city- Waco tx. I don’t hang out in clubs, I’m forty something and have a teenager. Plus I’d rather have wine at home ;). I have viewed The video on how to get the guy chase you numerous times but couldn’t relate. I go to the gym4-5 x’s a week and that’s my pleasure and passion and new that I would want to meet a guy who has the same. Anyway, as I watched your video, I just imagined everything you said but not in a bar but rather the gym! Recently I went to a bar and a guy approached me. Honestly I don’t know why. We talked and I stayed with my group I did that body position where I can pay attention to my group and him. Now I don’t like to keep secrets but I believe in being honest I told him I was a mom, which by surprise he didn’t care and he kept talking to me. I talked to my friens and him. We had a blast. My group decided to leave me with him I was weirder out because I have never had a guy approach me nor stayed with them, but I did end up using his phone to look for my friends because my phone turned off. Then the whole night he tried kissing me and I playfully said no but I did give an ok with him giving me a kiss on the cheek. He tried all night and even invited me to the hotel he was staying at I did deny him the invite. He held my hand as we walked he pulled me close to his face to kiss me but I would playfully move my face so he wouldn’t. We talked about so much, he called me beautiful. I had an amazing time, by the end of the night I left with my brother. Before we left he asked my brother to give his number to me because I called my brother off his phone. So when I got home my brother showed me a text the guy I had met sent him “no disrespect but I’m into your sister.” I texted him the next day but in the afternoon not to seem scary I was going to hang out with my cousin and brother. After that I decided to watch a seminar of yours. He started texting me for two days straight. I told him that we should get together and do something but in two weeks. He agreed and said he’s looking forward in seeing me again. I know we all are busy and everything but he has not texted for three days. I don’t know if I should text him or not. Should i just let him initiate all the text conversations? Or should I also initiate conversations to let him know I am into him or no? Matt I recently had the pleasure of going to one of the Get The Guy live events this Saturday and your dad was speaking. It was literally amazing, I dragged two of my friends. One was super reluctant to go, the other kind of interested. At the end of the 7 hour event we all saw how useful the seminar was. My friends agreed it was really good and one of them said she know knows how to avoid the ‘Wrong guy’.Your dad had us laughing all the way through the event. The seminar was really fun, the team were very friendly and we all got very valuable advice. I tried this on a guy and it paid a good Price!! It was so fun and he cuntinued the convestation after i was about to leave.. All the Afternoon we had this little “game” and i am sure he is attracted to me!! i’m confused about what to do in this situation? ?? Thank you so much for giving us this facts. Yeah, I get it. Understood this better second time around – don’t know why. As someone who’s quite shy, I’d find this approach very natural and easy going, which is my style. I’ve been your live show on last Saturday and enjoyed a very much! Thank you so much for giving us a lot of benefit! Good luck with your future training! I bought your book “Get the Guy” and I first saw Stephen on pof due to him looking at my profile. I did what I normally never do; I complimented his beautiful eyes. He immediately wrote me back and from there I allowed him to be the man and be chivalrous. I was never clingy, was supportive, and very light and sweet. We are both single parents of one child each. His daughter just so happens to live in a different state. The times we spent together were great. We only dated for about 3 weeks before he left to visit his daughter for Christmas. During this week of him being gone I barely heard from him. Even though I was feeling hurt I still tried to stay positive and be understanding. Well, he was supposed to come home for the weekend and didn’t tell me that his plans changed. It hurt again that he didn’t tell me until I asked. Then he texted me yesterday saying he was driving and when I asked him to call me he said he would. I never heard from him. Finally today I called him around noon and asked him why he hasn’t called me. He said sorry and then asked if I was upset. I finally asked him why he wasn’t calling me and why he even asked me to be his girlfriend if he was acting this way. He told me that maybe he wasn’t ready to be in a relationship. Before he left to visit his daughter we were doing so great. He wrote me all the time and would say things like “hello my love”. Where did things go wrong? Did I do something wrong for him to change his mind while he was away? I’m so confused. Please help me understand. Hi Jasmine, my humble suggestion, never ask a guy “why didn’t you call me?” Never. You put the ball in his court now, if he wants to spend time with you, he will get back to you eventually. If not, you know where you stand. Three weeks is not enough time to get to know someone well. I am not saying you can’t fall in love in 3 weeks. It sure happens, but there are certain type of people who fall out of love as fast as they fall in love, especially when things don’t go their way. So his calling you “my love” might not be real. Just go about your own business. If he wants to see you again, don’t make it too easy for him. Because he broke your heart, he has to earn his way back. If you are in touch with him on facebook or on another social media page, just be friendly. Don’t act like you are angry or upset, or you will push him even further away. For future reference, if the guy is away and you want to talk to him, just text him a funny joke or a dirty joke (this is if you did it) to let him know that you are thinking of him and you are there for him, and leave it at that. Just remind him yourself in a cheerful way, never question. Trust me on this. Best of luck. This is awesome! I tend to initiate a lot, and I forget to let the guy do some of the chasing. Point well taken! F…ck…. Why does dating have to be so strategic and difficult? Why can’t we just be who we are and eventually two like minded people fall in love because it is just easy being with each other because they are truly compatible. Matt what about guys who try to be near you when you’re among other people, constantly flattering you by focusing on features or elements of your appearance/ image that are important to you and make you feel great about yourself – ..and them…- but then never ask you out or leave you any message that’s not about practical matters…In fact the only time i got a guy like that to text me to go out was when i used your 8 magic words….so does that mean that he’s attracted and interested on some level, but is afraid on some level to take things further, or does he simply flatter to be flattered back?! Is there a chance he does all of this flattering and approaching completely unaware of what it actually does to a woman!? I love my uncle Mattey cakes! What organic advice u give! That great for a new meeting of someone you might be attracted to…to set up the chase… but how do you get someone you already know to do that how can i amp things up to get more contact from him by phone etc? You are so adorable. So what do you do when you have to go at this alone? I have no single friends to go out with. That and I’m not into going out to bars alone, that’s just scary. The push/pull method creates the perfect amount of sexual tension, high-value & curiosity…cannot wait to try! Hahaha that was fantastic!! Not only extremely entertaining but very informative, this is something I will definitely be applying when I go out. I feel like this video has given me much more confidence to go out there and make it happen. Now I understand “Push/pull” better. This was a good video, very concrete in its message and ability to take something from it and use later. Love you! I am writing a poem about some of this stuff I will share soon… Morticia and Gomez are the perfect couple! Wow such good advice. Thank you! This is great advice especially since you give tips on how to actually do this with body language and so on. Can you give advice how to do the same thing but not in a club setting. What do you do with someone who you see at work or school or around the neighborhood? In the back of my mind I always wondered how long you were suppose to linger during these interactions. Makes perfect sense! I think this may be ONE of my favorites out of all your vids. I’m loving the practicality! This is such an entertaining video. The theory totally makes sense and when you started trying to find a comparison sea creature I was literally laughing out loud. Great information, outstanding presentation. Thank you for the insight and the giggle. Love the puns! :-). This is so real—perfect!! I feel that this video is one of the best I have ever seen from you, because it tells me exactly how to act in this specific situation. I’m a bit shy and have a certain degree of social phobia, for this reason knowing how to act in different situations makes me more relaxed and less nervous. I would love to see more videos like this. me too… i’d love to see videos like that. Umm can you do a video on how to do this via texting? Wow Matt! Thank you! That’s brilliant when you tell us about “real” things that happened to you, in your interactions with women. It helps us see things from the guys point of view. Those poor girls probably went home very disappointed! They could learn a lot from this video! Matthew, I know you support women’s approaching guys in person. I support it in some cases, and I don’t support it in others, because women tend to take it two steps further (like the girls you met) as for some reason, they think most men in a bar will enjoy talking to them as much as they want to talk themselves just because they are female. I remember sometimes I went out with girlfriends and they embarrassed me. They went to talk to the guy they liked after multiple drinks, I was left standing there like a cucumber, and if I joined them, then the guy’s friend feels entitled to talk to me, like there has to be a complete match. I end up going to the bar side on my own after 5 mins of hanging out with them for the sake of my girlfriend, because I don’t think I have to talk to that guy’s friend just because my friend is talking to him, if it makes sense. Personally I’d never approach a guy in person. If I am interested in talking to someone in a bar type of place, I make it obvious to him that it is okay for him to come talk to me simply by smiling. That is all. People say I have an innocent face and personable look. Maybe that is why I never needed to approach someone physically, but what is better invitation then a genuine smile? I would never actually walk over to a guy and enter his territory especially if he is with a group of friends. No way. I don’t think any woman should do that (you might disagree with me on this). It is different if the guy is sitting right next to me. Then I can initiate a conversation no problem. I don’t let guys pay for my drinks either unless he is a friend, because sometimes men feel entitled to your time when they buy you drink. Believe me, some men think you owe them something for the moment after they pay $10 for a drink. Ridiculous! Most times I talk to people just to get to know a different person and learn their outlook in life. And most times it is not interesting at all. When people go out they either flirt with strangers or don’t talk at all. I don’t get that “all or nothing” mentality. I don’t operate like that. Maybe none of us should operate like that. Matt, I was sitting at a bar by the window in downtown one day. A guy saw me from his car just while driving back home from work. He drove around the block 3 times. Talk about a shark! Then he parked his car, came in and asked to join me. I told him “I am not here to meet someone but we can chat for a while for sure.” He was a single doctor in his 40s. We talked about bunch of things related to life, nothing personal. I paid for my own drink. He asked to drive me home. I didn’t accept it. He gave me his card and said “please do call me if you would like to have a coffee or drink”. I never called him. What a hunter eh? Truth be told, his level of confidence put me off completely. I also think it’s far more attractive when a women smiles at a guy and “invites” him to come over with her body language. But lets face it, most guys don’t know how to handle that ( unless he is with friends or is a player that used to asking out women all the time). That’s why I think the push pull method is absolute genius! :) That doesn’t mean we should tell them “I think your hot and wanted to meet you”, but maybe we can make a comment or ask a question. We are basically giving them a chance to impress us, and then we leave to chat with others. My personal concern is that not all guys are as open-minded and have 100% respect to women. I have seen some guys got a big head after my slightest interest, sometimes it is not even interest, just a simple hi. I agree that there are many guys who are too shy to approach a woman, but I’ve also seen that no one is too shy to talk after some alcohol. If the guy is alone, it is one thing (he wouldn’t mind a chat buddy- if that chat buddy is a woman, all the better), but if he is with his friends especially, I wouldn’t want to give him any opportunity to get a big head. I know there are great guys out there who are not like that, but after some negative experiences, I don’t want to take any chances. I don’t need to anyway, as they come to talk even when I don’t smile. I was stunned many times by the level of arrogance some guys had. Also, ladies usually take it 2 steps further when they approach a guy. It is like “so okay I proved my confidence, why doesn’t he call me?” Every advice Matt gives here is another piece of the whole. Some ladies see it like studying chapters in a text book. Weird. I relate every video and article to life in general. I think that is the whole point. Don’t be a leech to anyone- friends, family, co-workers. You need to keep your distance so people will appreciate your worth. You need to respect yourself first to be respected. I completely understand where your coming from! I’ve also had guys get a big ego just from a smile and some eye contact. The thing about it is that when I get that kinda reaction, I show them how turned off I am and move on. I was actually never the type to approach guys but I am tired of being approached by players. It’s about being proactive yet classy. gunna check it out! Thanks for mentioning! “…Don’t be a shark, be a dolphin…” Haha…Why are you so cute matthew?! I really liked the video but I don’t think that the tip of being a dolphin works in every culture. By that I mean that where I am from, dolphin behaviour like that most likely would intimidate or discourage most guys to approach. But where I am from, the nice guys also never really approach at all, they stare from far away, shyly but they would never come over. I have tried a lot of your body language tips to make myself more approchable but they only attract horrible, creepy guys who use pick up lines such as: I wanna shag you. What I am trying to say is, that I think that it depends on the mentality of a culture, on theit outgoingness, relaxedness and commitment. Where I am from, commitment isn’t a very spread suit, neither is that fun, flirty, charmingness guys (e.g. : in France) have. So I am thinking in some places women can be as proactive as they want and be still a dolphin and guys still won’t approach them because they just don’t care because they are too afraid of rejection or putting in an effort. I will still try the dolphin technnique, to prove myself wrong :). So thank you, Matt. This was really illustrative. A couple of things. First, I do use Matt’s techniques sometimes and they do work. I think his view of what men think is spot on. What I’ve learned. Some, if not most, men need a LOT of space. They feel trapped so easily. I don’t get that, honestly. Similar things happened to me as a woman and I don’t feel trapped at all. Or I leave. It’s not that big a deal. So he closes the circle. If I like him, I’ll still like him. If I don’t, I still won’t. The thing about giving men space is it’s so completely opposite to how I’ve been socialized to connect my entire life. I’m wired for closeness. When I don’t get it I disconnect. When I give men space to chase, they do. Sometimes. But during that space while I’m living my wonderful life, I lose interest. Matt hasn’t addressed this. This just isn’t how I’ve seen women connect to people. And who cares if he’s finally chasing you if you’ve already lost interest? Point two: sometimes you give them space and they don’t chase or they don’t reconnect. Some men just aren’t interested. We puzzle over this because we do the right things, but sometimes the guy just isn’t attracted. It’s really hard to accept if you like someone but if they aren’t reconnecting with you they usually just don’t want to. Well, if you lost interest and moved on, the guy is just not your guy. End of story. You’d probably want to see him again if you had felt something genuinely special for him. The other way around is also true. Now losing intetest doesn’t mean you should’t go out him again. You can initiate a friendship instead of dating him; guys know more guys and a guy friend may introduce you to that guy that makes your heart sing. Am I supposed to hold on to that connection for weeks in hope that he might eventually get in touch with me? That’s ridiculous! Losing interest is a self-protective mechanism. I hurts too much to feel disappointed again because you thought you met someone special and clearly he doesn’t care about you that way. I want to meet a guy who would call me up or talk to me on fb or otherwise get in touch with me soon after our first meeting. Is it to much to ask?! I can only chime in say, it may mean he’s not the guy for you. But it many mean MANY men aren’t the guys for you since Matt is right on with that most guys feel this way. I don’t go out with a guy I’ve lost interest in. Once gone, it’s usually gone. The only thing he can really do is try to earn my attention again. Some do, some don’t. It’s not an easy task. I will say one thing. Right now I’m in early dates (dates 1-3) with three different men and I have a lot of hobbies side projects going on. It does work for the guys but it’s a lot for my brain to juggle all of this. I really do like to focus on one thing at a time. I’m only trying this because focusing on one man at a time wasn’t working for me and if nothing else, this is great for my ego! Will keep this blog posted! Thanks, Daria for responding! It’s good to hear responses in real time. And to know I’m not the only one. The crux of my question is that many women get turned on by attention and by close connection. That simply doesn’t happen if you’re giving the guy his space. He’s thinking of you and selling himself on you, but you’re being turned off. Matt needs to address this. He does by saying getting busy with your own life. Or by dating other men. That does work, but it’s not like your initial attraction is frozen in time until the guy calls you. Nope! If I meet other men, then he gets pushed to the back. Same if I get busy with work/hobbies/friends/family. He can try and work his way forward again, but honestly by that time I simply don’t care. Once attraction has grown cold on my side, that’s it for me. It just seem women and men are very different in this way. I guess we just wait until we find men who don’t need as much space? I dunno! “Be a dolphin NOT a leech”. I love how you clarified the push and pull dynamics, Matt!! Because of the nature of my work, I have the tendency to focus on the person in front of me. While this has served me well with friends, colleagues, relatives etc., it also maybe how I am interacting with guys in a social setting. Need to be more mindful of this when going out and meeting new people, but particularly guys!! “Be a dolphin” is going to be my new emotional button for going out and meeting new people!! Thank you so much! Wow you’re SO smart! I love when people can take a topic which has always been super confusing and just totally make it easy to understand. I’m definitely using this analogy whether I be a shark or a dolphin (haha) w texting guys I am often the one chasing never letting the guy show his interest back so THANKS! Matt this is the first of your videos that bugged me. Really feels like a game. I would not have thought about it that way. Body language does play a big part in getting a guy to notice you. Thanks for sharing your perspective. “Don’t be drab. Be a soft shell crab”. Or a porpoise. I don’t normally comment but that was hilarious (and a bit insightful). Cheers Matt. I love the connections you make when you’re free thinking in front of us. So cool, so attractive. I loved this video. I hope ee eill get mote details how to for ecample make him ask your phone number and start to ssk you out. Matt, You’re just so cute! You’re always on point, and so smart! Love listening to you daily, Keep posting please! Love you Matt! When are you coming to OC Cali? ?